FanlessTech: FX100 not so good? 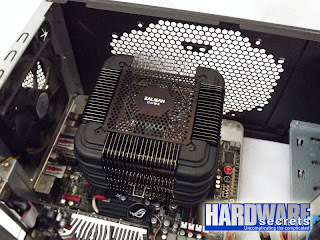 Lukewarm reviews are pouring in for Zalman's new flagship cooler. Hardware Secrets basically hates it: "The Zalman FX100 was a complete disappointment. It may have a stunning look, but the installation system and the cooling performance have much to be improved." Meanwhile in Russia, Overclockers.ru confirms that Thermalright Silver Arrow SB-E - technically not even a passive cooler - does a better job.